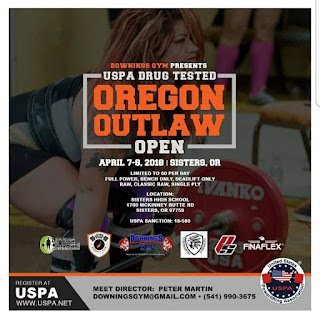 We're into the final push towards the Oregon Outlaw Open, and I can definitely say that I'm feeling anxious and amped up while at the same time feeling completely exhausted. It's been a while since I've trained THIS much and this hard. I'm the first to admit that one of my flaws is lack of discipline and consistency, and that's something I've worked particularly hard at this time around--just showing up and doing the entire workout. (I also have no special love for accessory work, you should know.) Like, I know it doesn't look like much on the surface, but for me, internally, it's been hard making sure that I prioritize my training so that no matter what, I'm going in and giving my best effort three days a week. 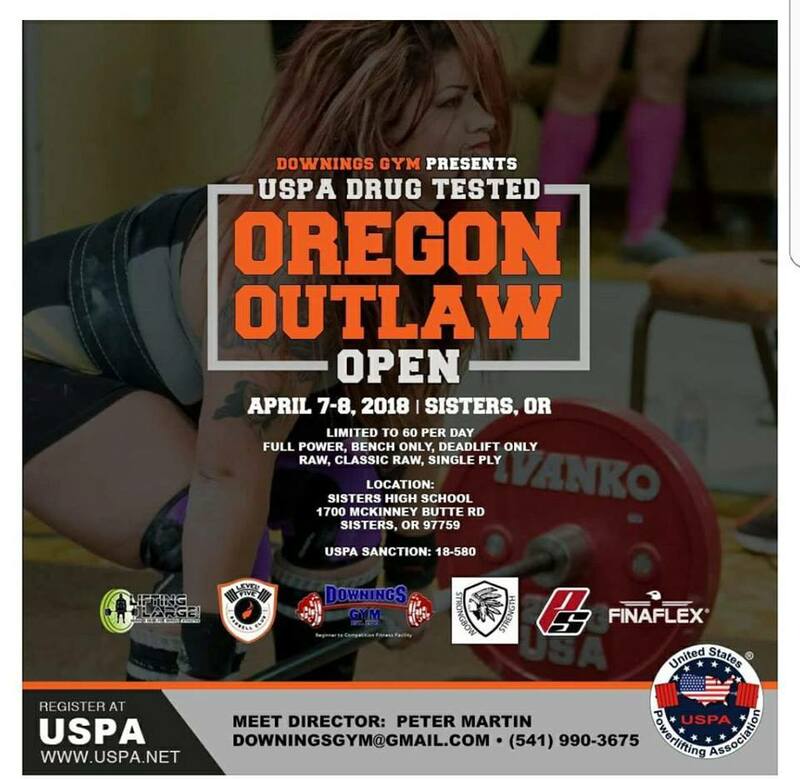 When I initially signed up for this meet in December, I recall very specifically telling Jeron (my coach) not to let me bail, because last year I signed up for a meet and just couldn't stick to training, and I didn't want that to happen this time. I know myself--I'm great at making plans, but not as good at seeing them through. And because he's, like, the best coach ever, he didn't let me bail, and called me out (in a supportive, encouraging way!) when I really needed it, and that talk made a big difference to me, because from that point on, I showed up and did everything. Ergo, the weekly grind of lifting. Putting in the work. Sometimes it's fun. Sometimes it really IS a grind (but the people I lift with are awesome and I enjoy their company, so it doesn't feel so bad). In between workouts, I'm trying to sleep enough, eat better, hydrate more. Day by day. Brick by brick. It's not any one day of training that will make or break my meet performance. It's the foundation I create, the habits I build, that will determine success or failure. That's my major take-away from this training cycle--a PR would be nice; a record would be great; a WIN would be spectacular. But the small victories count too--in the last week or so, I've had bad physical health days, and I've had bad mental health days, and I think it really means something that I showed up anyway. In the past, I would let myself off the hook and stay home for the slightest discomfort, instead of finding a way to make it work. Last week, I was sitting around feeling really sad and unmotivated and tired, and it would've been so easy for me just to stay home and wallow, but I got up and went anyway. I didn't even give myself the option to stay; I just went. And yeah, in between singles, I was sitting there massaging the bridge of my nose. My lifts felt great, but in between, I was trying not to hurl. But seeing some payoff for the work I've been putting in really helped a lot. I'm still nervous and anxious, but dammit, I'm EXCITED. And I'm proud, not just because I hit a really big number, but because I know all the exhaustion and time spent is paying off in a very tangible way and because if I can get through all this training, then I think I will come out of this mentally stronger too. Two and a half more weeks to go. No rest for the weary.